The Middle East Special Event (MESE) is the unrivaled event for all in the regional MICE industry. Attend the exhibition for exclusive networking opportunities and inspirational education sessions, and celebrate the industry’s outstanding achievements with your colleagues at the awards ceremony. 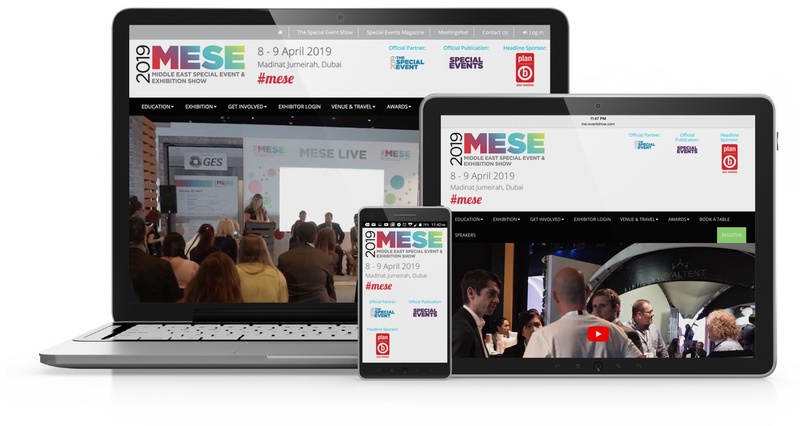 MESE is organized under the management of The Special Event (TSE) in the USA, the industry’s largest tradeshow and conference for event professionals worldwide. With two days of inspiration and entertainment, our attendees not only found out what’s new in the industry but also celebrated the successes of this past year.